NFL: If We Could Build a Team Around One Player, Who Would it Be? 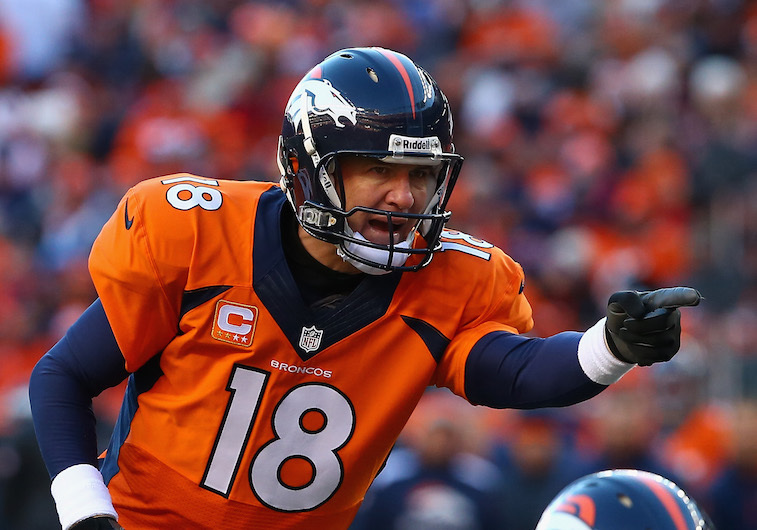 There is no perfect method for determining the best, or most valuable, player in the National Football League. Some people turn to the objective rankings of services such as Pro Football Focus or Football Outsiders, others like to base their opinions solely on statistics, and of course some people simply make their decision based on what they see with their own eyes. We have decided to tackle this issue in a completely different way. Our method is simple, straightforward, and easy to interpret. We solved this proverbial riddle by asking ourselves, if we could start a team with one currently active NFL player, who would it be? Several factors were considered, but none were more influential in our decision-making process than age. If we were building a team for one season, guys like Tom Brady, Peyton Manning, and Darrelle Revis would jump to the top of the list. However, given the fact that nobody really knows how much longer each of them will be playing, we chose to exclude them from our list. The other deciding factors we looked at were game-changing ability, position dependency, and position depth. We considered guys to be game-changers if they are the types of players that opposing teams have to gameplan around. A couple of players who fit this mold but just missed our cut are defensive tackle Gerald McCoy and inside linebackers Bobby Wagner and Luke Kuechly. Position dependency refers to players who play a position that allows them to excel without having top-notch teammates at complimentary positions. A couple of players who missed the cut for this reason are cornerbacks Patrick Peterson and Richard Sherman. Without a solid front-seven and pass-rush in front of them, both players would be put on an island leaving them at an extreme disadvantage given today’s pass interference and illegal contact rules. Lastly position depth refers to the number of elite players at each position in question. Due to this criterion, we opted to not include the game’s best wide receivers such as Calvin Johnson, A.J. Green, Dez Bryant, Demaryius Thomas, Antonio Brown, and Julio Jones. The 2014 NFL Draft alone yielded three players who posted 1,000 receiving yards as rookies, and game-changing wide receivers have generally proven to be easier to find than practically any other position. By now you’re probably wondering who actually made our list. Well, without further ado, here is a countdown of the top seven players in the NFL that we would consider if we were starting a team. Very few players in league history have impacted the game from the defensive tackle position the way Suh has during his five-year NFL career. At just 28-years-old, the former Nebraska Cornhusker is still in his prime and should have at least five years of All-Pro caliber production ahead of him. 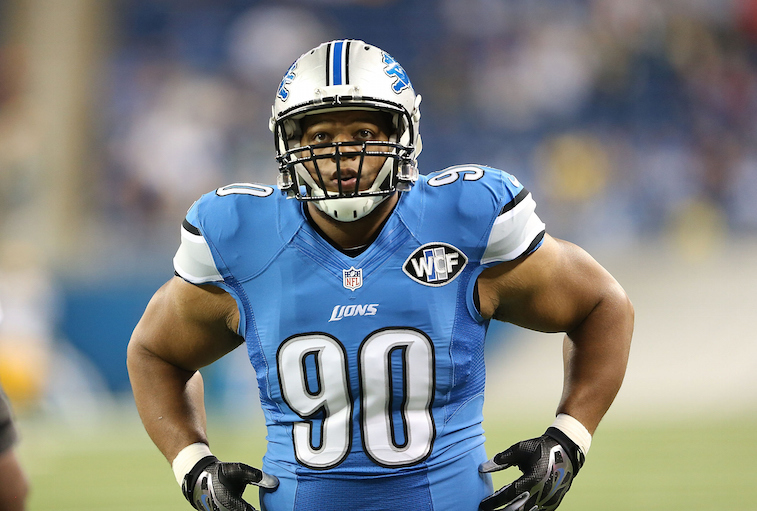 All said, Suh could very well be on his way to earning a bronze bust in the Pro Football Hall of Fame, but we feel like there are more impactful young players to build a team around. 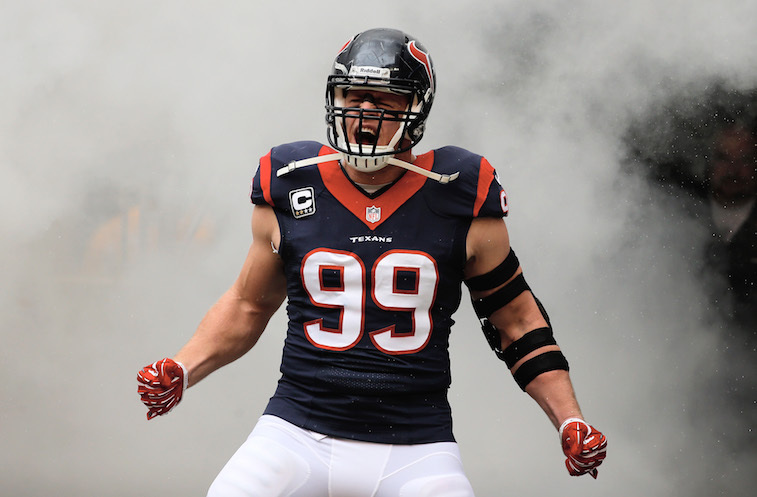 In 2014, Houston was one sack away from breaking the NFL’s single-season sacks record. He has an incredible knack for getting to the quarterback and disrupting the opposition’s aerial attack, but is also great against the run. The former Georgia Bulldog recently signed a $101 million contract extension and is just now entering the prime of his career. This is a guy who could easily rack up well over 100 sacks over the next five to six years. Interestingly enough, he isn’t even the No. 1 outside linebacker on our list. If you’re questioning Miller’s inclusion on this list, you simply haven’t seen him play when he’s 100 percent healthy. 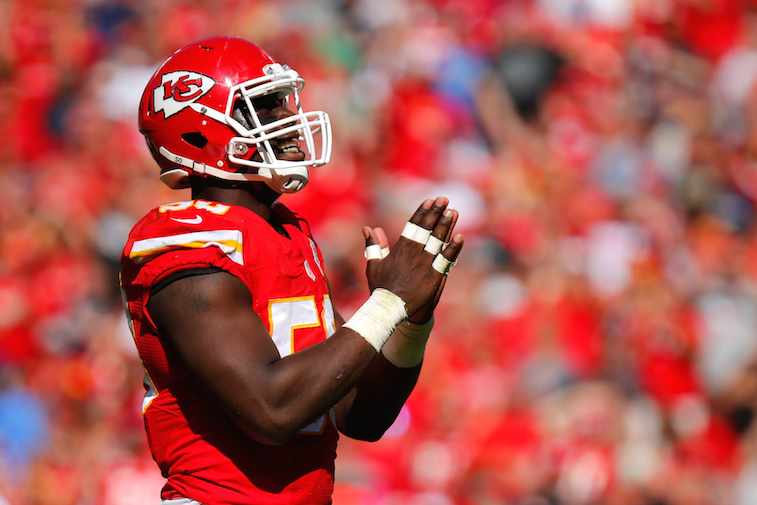 The four-year NFL veteran has arguably the quickest first step in the league and also has the ability to play multiple positions at an All-Pro caliber level in any defensive scheme. More importantly, Miller is now out of the league’s drug and alcohol program and appears to have put his off-field transgressions behind him. 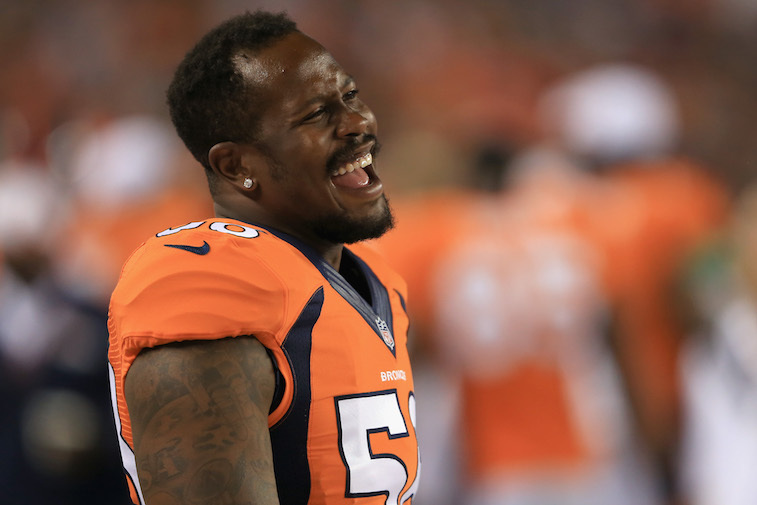 At just 26-years-old, Miller could easily have a decade of football left in his career. You may think we’re crazy for including a tight end on this list, especially one that has battled his fair share of injuries over the course of his five-year NFL career. Regardless, we strongly believe Gronkowski is worthy of his place on our countdown. Before you blow this selection off, ask yourself, “who in the league can cover Gronkowski one-on-one?” You can spin it anyway you want to, but the factual answer to that question is nobody. On top of that, he is a dominant blocker, which makes him the complete package at tight end. 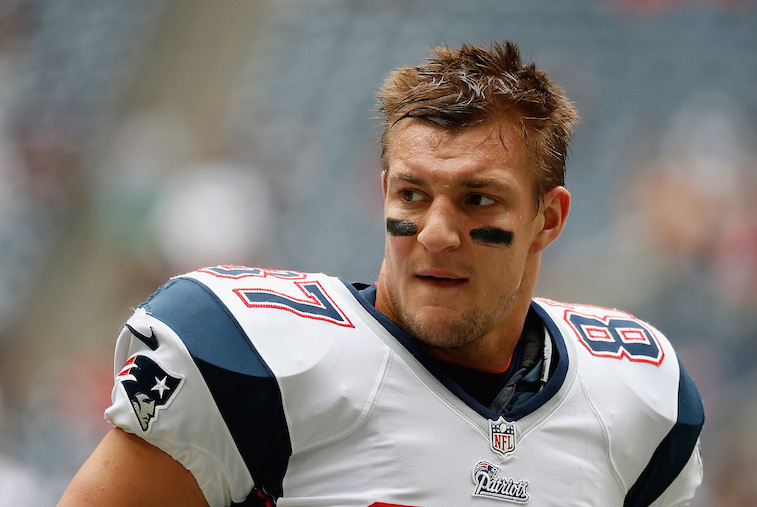 Like the other players we’ve mentioned, Gronk could conceivably play for another decade. 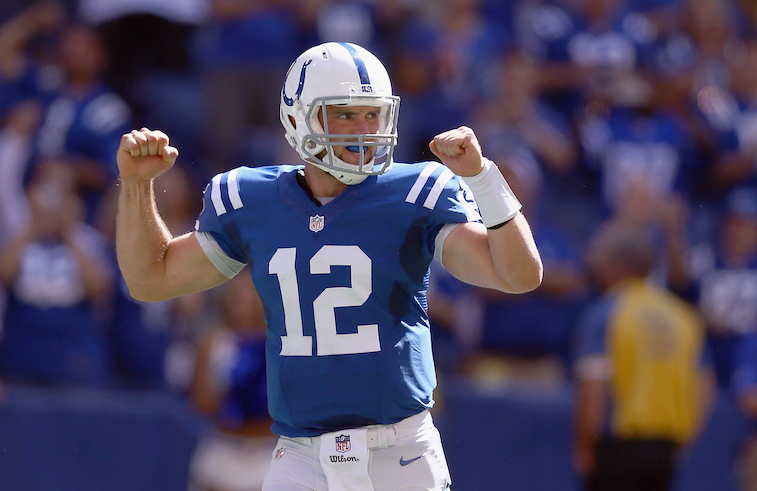 In just three NFL seasons, Luck has solidified his place among the game’s elite quarterbacks. He is a once-in-a-generation type of talent and could be the only real threat to break the NFL’s career passing records that were once thought to be out of reach. If we were starting a team today, it would be incredibly difficult to bypass the former Stanford Cardinal. There is literally nothing to not like about Watt. He is the best all-around player in the game, a model citizen off the field, and is one of the hardest working players in the league. To top that off, he is only 26-years-old. It was a tough decision to put Watt ahead of Luck on this list, but at his current pace, the former Wisconsin Badger is on the fast track to go down as the best defensive player in NFL history. 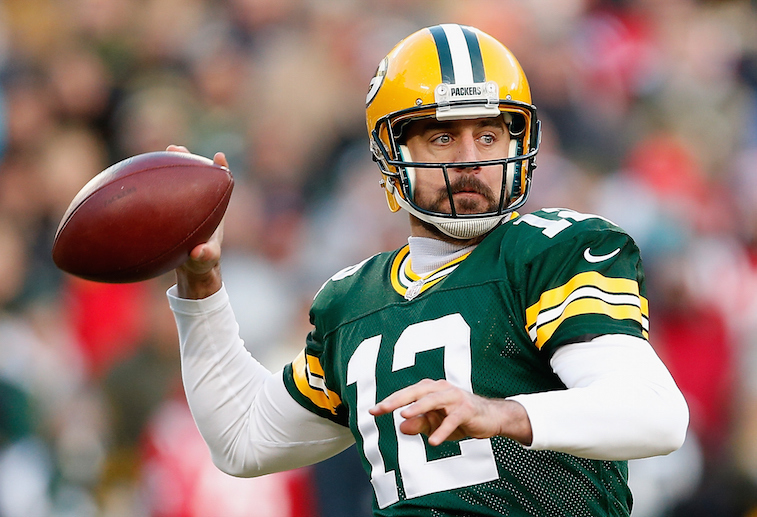 If we were building a team around one current NFL player, that player would be Green Bay Packers quarterback Aaron Rodgers. The reigning league MVP is the best quarterback in the game, and possesses literally every trait you could ask for in a franchise quarterback. When he is at the top of his game, he is practically unstoppable. Truth be told, he can have an off day and still be good enough to beat most teams in the league. What’s even better is that at 31-years-old, we see Rodgers playing at least five more seasons. At the end of the day, we believe this guy has at least one more Super Bowl title coming his way before he hangs up his cleats. That’s something we wouldn’t be able to pass up. All statistics courtesy of Pro-Football-Reference.